Two weeks ago, at the Bennington Museum, a bi-weekly columnist (who for obvious reasons will remain anonymous) was Santa Claus for three hours. It was in front of a beautiful Christmas tree, in a large wooden chair, that Santa rested and heard the individual Christmas wishes from about 90 children. Santa, as he has done so many times in past Christmases, told the youngsters he would do the best that he could in fulfilling their hopes for Christmas morning. From little girls, outfitted in beautiful dresses, came their hopes that Santa would bring them an Easy-Bake Oven, a Barbie doll and, for some, an American Girl doll. And for others, a teddy bear at Christmas would be enough. The young lads had their lists. 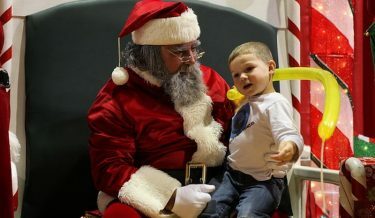 Their faces showed deep concern that Santa would locate their home in Pownal, Bennington or Shaftsbury. Each one expressed his hope that he would receive at least one or two of the electronic games that are endlessly marketed to children. For several days Santa pondered the boy’s hope for something good to happen to his family and came to the conclusion that, isn’t the spirit of hope the very reason we all pause at this time of year, in between busying ourselves with shopping, cooking, wrapping and card writing? What clings to each and everyone of us is that we are hoping that the lives of our loved ones, our friends and even of those we don’t even know will somehow be better. And if we look beyond our own homes, we express the hope that the Christmas season generates — that events and the lives of people beyond our reach will also improve. I would venture to say that no one who could, if they had the influence, would not reverse the tragedies that our world has had to endure this past year — tragedies that emanated from wars, earthquakes, tsunamis, hurricanes, floods, fires and disease. Nevertheless, during this season of hope, we should pause from our busy tasks and wish that the individuals and families of those who were directly impacted from recent tragedies will not lose hope, and that in time their lives will also be changed for the better. Santa wanted so much to tell the young boy that his mother and father will be together at Christmas. But saying so wouldn’t have been the right thing to do, no more than it would be to have told some of the children that they will surely get that iPad, laptop or go-cart. Looking at the young boy’s eyes, it was evident he wanted nothing material — no toys, no games, just that he could share Christmas morning with his mother and father. It is not at all certain if the boy’s parents will reconcile and be there for him on Christmas morning. What is certain and real is the gift this little fellow gave to Santa, the gift of hope. If a 7-year-old boy from Bennington can harbor so much trust and hope for what appears to be such a difficult situation, can we be any less hopeful that there is a chance for a better world? And isn’t this the time of year to do just that? This Santa wishes all of you the true meaning and blessings of the season and the hope that all of our children’s dreams will get fulfilled. Editor’s note: This originally published on Christmas Eve, 2005.